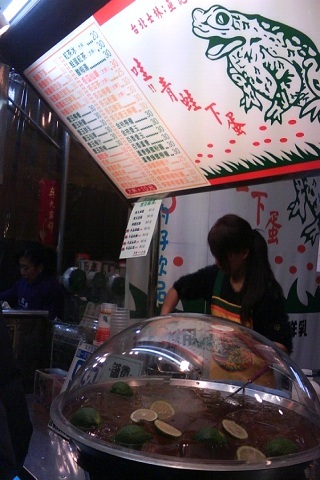 Frog Egg Drink is one of the most famous and popular drinks in Taiwan’s night markets. Don’t be put off by its scary name; its main ingredients are sugar water and tapioca pearls. The drink gets its name because when the tapioca pearls are cooled throughout they become white in the middle, thus giving it the appearance of a frog egg. 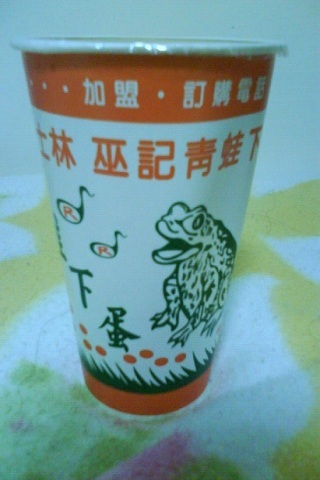 Frog Egg Drink can be adapted to personal taste -- milk, green tea, black tea or lemonade can be substituted for the sugar water. It can be chilled for the summer or heated up for the winter.